This is what we all have feared. 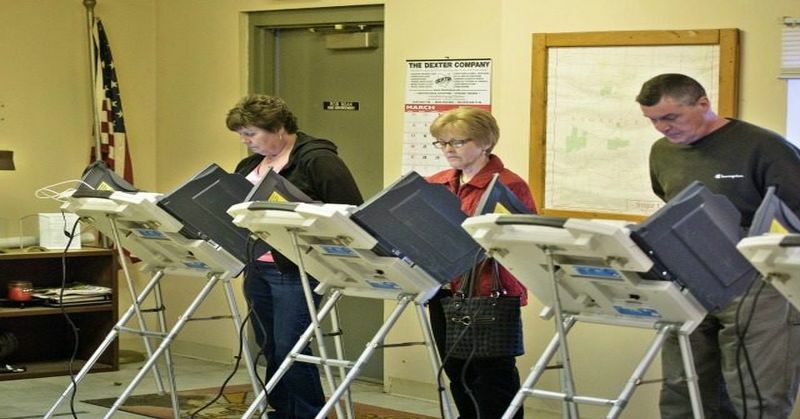 Early voting began Monday in some parts of the country. In North Texas, the Amarillo area, the people showed up to vote early to take advantage of the relatively short lines. But there was a problem. Two voters from the area reported that when they chose the “Straight Republican” option – available in some areas, the ballot selected the “Clinton/Kaine” ticket instead of the “Trump/Pence” ticket. The Randall County Elections office said they were aware of the mistake, but chalked it up to “user error.” They said that there are several times each election cycle where the voters report their ballots were mismarked, but in fact it was caused by the voter accidentally marking their ballots incorrectly, and selecting the wrong party. This will be a close election and every ballot counts. No matter what selection you make, always double-check your ballot and make sure the right vote is counted before you submit it! And if this has happened to you, please let us know in the comments below.